When I look at My 35 Project, I see one area where I need a lot of improvement. I haven’t done yoga even once! Yikes. Obviously, I had to look at why. Doing something once a week should not be hard. What is standing in my way? 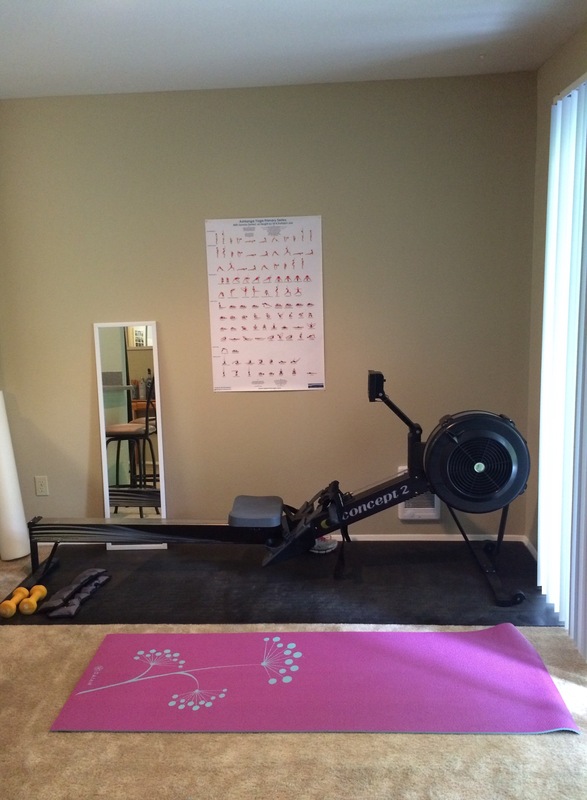 It’s hard for me to work out at home, and it’s hard for me to spend $15 on one yoga class. That’s what it is. It’s also hard for me to spend time doing yoga, when I have a mind block that says it’s more important to do weights or cardio. My actual belief is that all three are important. Yoga helps me with balance, physically and mentally. It helps me connect my mind to my body. So, here’s what I did! I made a space where I have a reminder every day to just think about it, if not to try a few poses. 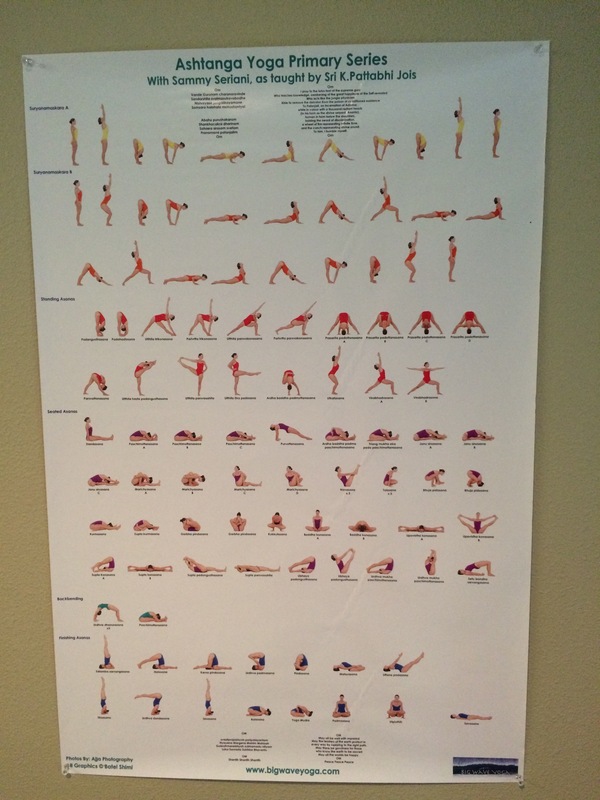 I don’t know yoga well enough to make it up as I go along, so I got this cool poster off Amazon! I just used it, and while the pictures are small (this was the best one I could find), it was really helpful! I’m excited about this new idea, and that I got my first yoga session in. Silly as the small victory may sound… It’s a big deal for me to pinpoint what’s standing in my way and then actually do something about it. Have you had any small victories lately? Hey Jillian! I was just writing about how I need to do yoga too since I just got a mat for my birthday. My sister and I are looking to sign up for a class just to get the gist of it. I’m totally with ya though – working out from home can be hard and taking classes is costly. I love that poster from Amazon! Very handy. Classss are awesome and I love them. It will be so fun to go with your sister! I still have my copy of the DVD you do 🙂 I was thinking of getting it started! I love this poster. And it’s such a good idea to have it there, so yoga will be on your mind and will want to try new poses. Aww, thanks! I went through a rough patch… But I missed you guys! That was exactly my goal with the poster. It’s ridiculous how lazy I can be, not wanting to dig up poses or whatever. No more excuses! What a pleasant, motivational space you have created. I agree it is all about the little accomplishments. Therefore, may I suggest setting yourself up for success by framing that poster and making it look more like art than a chart… lol. I also thinking doing 10 minutes of poses in the morning and before bed is a good zenful start. Who knows, before you know it you could be doing an hour of free yoga in the park. I swear every metropolitan city seems to have a free yoga program. Yoga in the park sounds lovely! Idk, framing may happen, we’ll see. I think the glass might give it a glare that would make it harder to see? Hey Jillian! I love the yoga space you have created for yourself! I want one too! I can’t wait for when we renovate our basement and get a space down there that I can use for yoga. How has it been working so far? Thanks! I’m still not perfect, as it turns out 🙂 but I really have been stopping to do yoga. Short sessions, but four times in the two weeks I’ve had it set up.